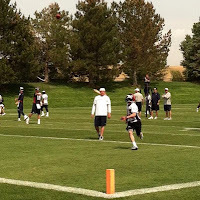 On Thursday, the Denver Broncos wrapped up their final practice of 2013 mini camp. 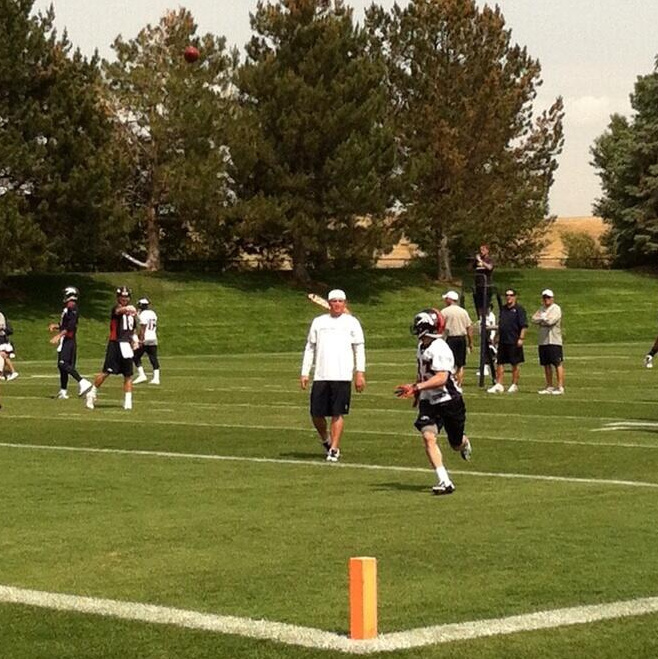 It was a short practice that followed the news of Willis McGahee's release and preceded Montee Ball's signing. The players will now get a break until training camp rolls around in late July, when the team will meet back at Dove Valley. Before hitting the road, wide receiver Wes Welker met with the media to answer a few questions. Among the topics? Playing with quarterback Peyton Manning, of course. "(Playing with Manning is) everything you thought. The balls are just so accurate and you come out of your break and the ball is just there," Welker said after practice on Thursday. Welker signed a two-year a two-year $12 million contract with the Broncos in March. In Denver, he is expected to be the team's third receiver behind Demaryius Thomas and Eric Decker, handling the slot duties. "It’s almost like a long handoff sometimes. He definitely makes it easy on you." Manning has a way of dropping passes in right where they need to be. That's something Thomas and Decker already know. Welker is new to it, but you won't catch him complaining.